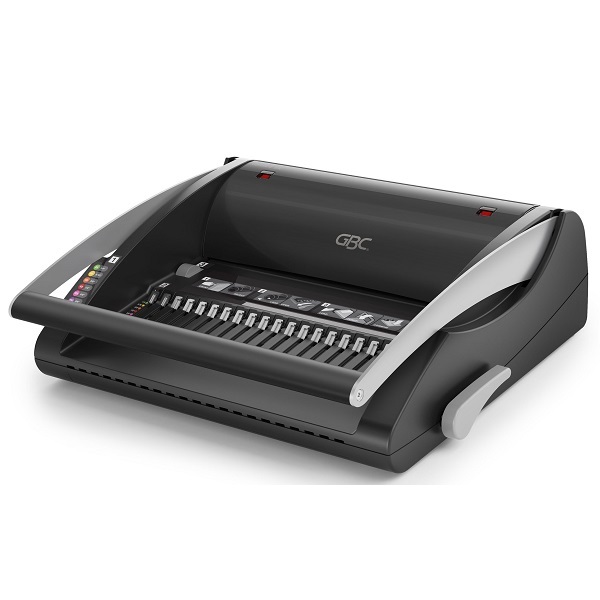 Binding doesn't get any simpler! 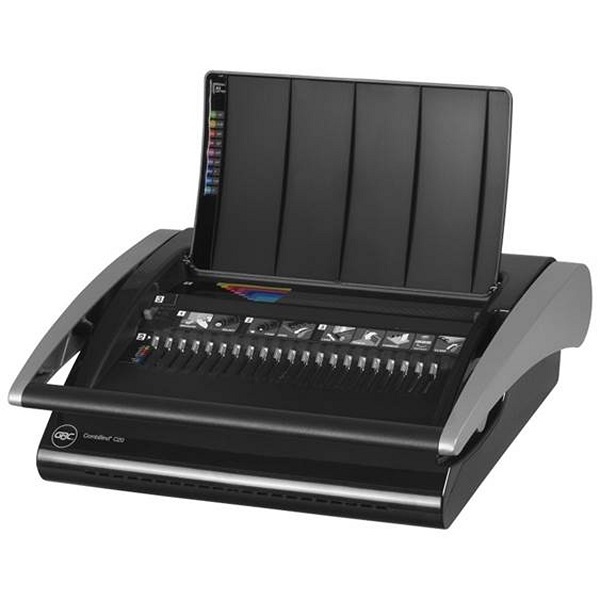 The CombBind C200E is ideal for offices with regular binding requirements. 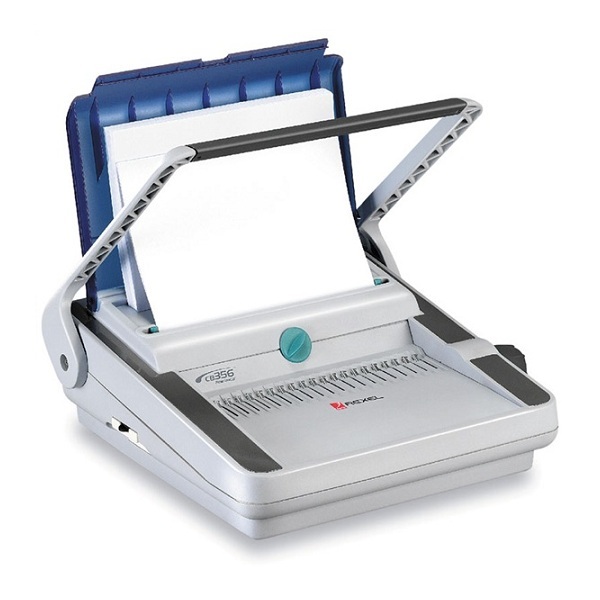 This machine binds A3 portrait, A4 or A5 sizes. 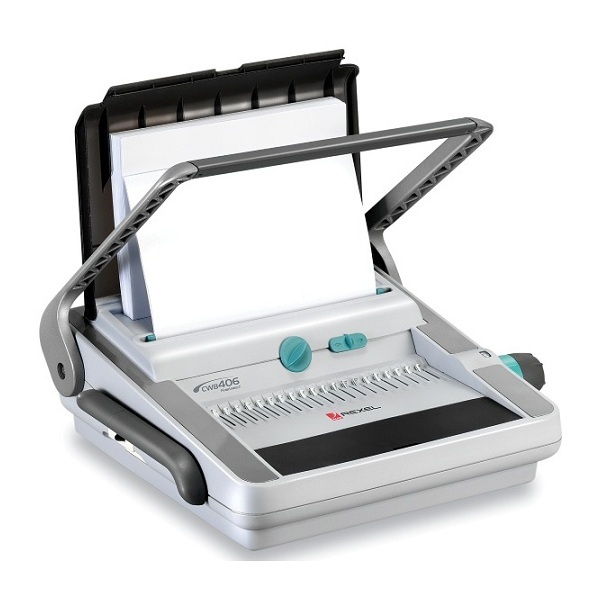 One touch electric punch and unique sheet alignment indicators make the binding process even easier. 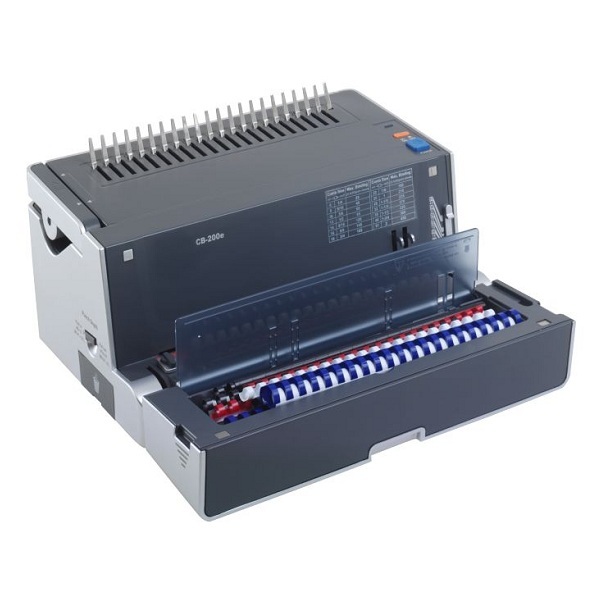 QuickStep Work Flow Guide for simple and intuitive operation. Uses standard 21 ring combs. 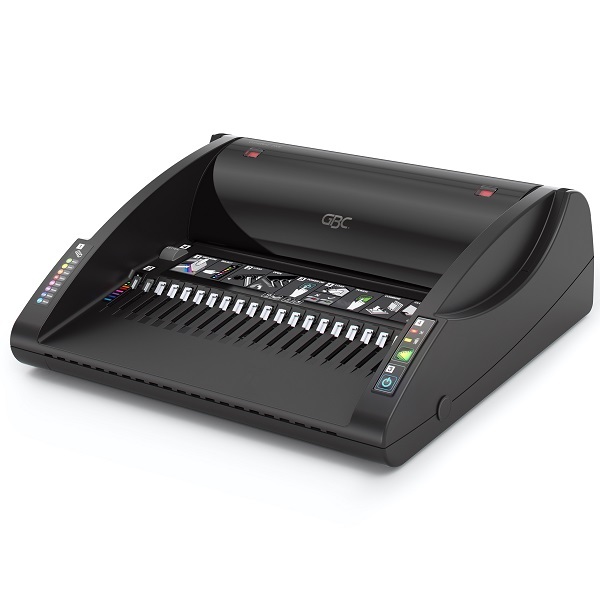 Electric Punch up to 15 sheets.